The theory of capital gains tax is mainly applied to assets that are attained or any other event occurring after the year 1985. In context to this, the concept of pre- CGT as well as post- CGT is especially used to refer as assets that are bought or the events occurring after the event date of CGT. The capital budgeting gains tax system has been mainly applied on system of asset disposal or any other form of particular events (Lang et al. 2018). If a taxpayer has attained vacant land to utilize it specially for investment or private purpose, then the land is basically considered as the capital asset, which might be subjected to capital gains tax when taxpayer sold this particular land. According to the statement published by the taxation office of Australia, the vacant land is being held by taxpayer in form of capital asset and thus might be treated equivalent to other assets mainly for the objective of the capital gains (Ceriani, Fiorio and Gigliarano 2013). Moreover, the taxpayer is generally under compulsion of keeping these records of date and the cost of attaining land as well as ongoing expenditure specially interest on loan and council rates. However, this expenditure might not be claimed as deductions of income tax but would be involved in cost base of land during estimation of capital loss or capital gains when selling of land. In this present scenario, the taxpayer is mainly contracted to sell vacant land block for the amount of $320,000. The taxpayer has also reported the outgoings on council, sewerage rates, land tax, water during the land ownership period. Moreover, the CGT event A1occurred under the “section 104-10(1)” when the land is sold by the taxpayer. Under the “section 102-5,ITAA 1997”, the taxpayer will be needed to involve the net addition of the capital gains in the taxable income. The collectible theory has been given under the subdivision 108-B. Under this section 108-10(2), the collectable refers to the thing that is generally utilized by the taxpayer as well as their associates for personal use. The section 118-10(1), ITAA 1997 states that the collectables with buying value of about $500 will be eliminated from the CGT provision. The recent example from the derived case recommend that this antique bed was stolen from the taxpayer’s premises. Later it was found out that the antique bed had not been the part of list of taxpayer’s particular matters in the insurance policy. Apart from this, under the “section 104-25 (1)” CGT event C1 mainly occurs when the asset is damaged or destroyed. In the present case, the compensation receipt for this stolen antique bed led to the CGT event C1as the total compensation attained was mainly for the stolen asset (Yagan 2015). The function of a CGT generally operates effectively and is only applicable if a CGT event happens for those assets, which are bought after the date 20th September 1985. For commonly the CGT events, there have been exceptions provided the CGT asset is attained before 20th September 2018. However, the assets that are purchased before this CGT event have been held as excused CGT asset. It has been evident from the present situation that painting was basically acquired on 2nd May 1985 by the taxpayer. The painting was sold by the taxpayer in the present tax year for the amount of $125,000. Since this asset was attained before the CGT introduction before 20th September 1985, it will be taken into account as pre CGT asset which is excluded from CGT event. For individual investors or taxpayers, CGT is generally applicable to profit that is attained from units or shares when CGT event occurs specially during the selling of asset. It is important to mention that the organization’s units or shares trust together with managed funds are taken into account in the similar manner as other assets for the objective of capital gains tax (Dai et al. 2015). In the present circumstances, the taxpayer reports capital gains from units or shares that were held in Common Ltd, Build Ltd and PHB. The taxpayers have also reported huge loss in later events from sale of the kids learning shares. In the current situation, the taxpayers can set-off capital loss from sale of kids learning shares against capital gains that is attained from sale of Common Ltd, PHB, Build Ltd. Under the subdivision 108-C, the assets of personal use are mainly dealt. These assets include- furniture, electrical items, boats and other household products. On the contrary, these personal use assets do not involve land or buildings. Under the section 108-20(2), the asset of personal use is defined as an asset which are mainly considered as non- collectable asset in which the taxpayers hold these assets for personal enjoyment as well as utilization. On the other hand, section 108-30 describes the ownership cost of the individual use asset. It has been stated under the section 118-10(3) that the personal asset cost base which is lesser than the amount $10,000 that might be ignored. It has been noted that the taxpayer is needed for keeping the asset details that has been purchased for more than about $10,000 (Toder, Baneman and Center 2012). It has been evident from the present case study that the violin is purchased at the total cost of around $5000. This violin constituted as the personal utilization asset as it has been used by private purpose asset only. It has been observed from this case study that the asset cost was less than the stated unit of around $10,000. However, sale of this violin as well as deriving capital gains must be ignored since it is an asset for personal use and thus is exempted from the CGT. The table below reflects the computation of net capital gains tax that has been attained during the year. In respect of the “subsection ID of FBTAA 1986”, fringe benefits of an employer mainly depicts assessable sum for a year commencing from Ist April 2000. The fringe benefits as well as word benefit mainly holds better meanings for the objective of FBT. These fringe benefits consists of privileges, services and the rights. According to the definition of FBT legislation, an employer usually gives fringe benefit to their employees in respect of employment constitute benefit. The fringe benefits is given only to those individuals who are employed as an employee in an enterprise. An employee can be the person that ranges from former employee to future employee. Moreover, the employee is an individual that might be entitled of receiving salary or benefits in lieu of wages. An employer of the organization can be responsible for fringe benefit tax provided that employer makes payment to their employee or the office holder that are mainly subjected to any kind of withholding obligations or provides benefits in respect of payments. An employer is also needed to pay fringe benefit tax despite certain condition if they are responsible to pay other taxes specially the income tax (Shiftan, Albert and Keinan 2012). Under the “section 7, FBTAA 1986” a car fringe benefit involves the benefit, which occurs particularly under such condition where an employer uses the car mainly for the private purpose (Scott, Currie and Tivendale 2012). The car that the employer generally holds is only available for the usage of an employee. An employer usually makes a car available for personal use of an employee when it is mainly used for the employers private purpose. In addition to this, fringe benefit of a car arises only when it is available by an employee for private purpose specially during when it is not within premise of the employer or garaged at the employee’s residence. As per the “FBTAA 1986”, the common rule is that travelling to or from the workplace might be considered as private usage of this car. The car might be taken into account as private utilization of an employee when this car goes in workshop for maintenance or routine services. The taxation commission in the “Lunney v FCT (1958)”gave a description that travelling to the workplace from the residence gives rise to personal usage of car for an employee (Barry and Caron 2015). The “ Division 5 of the FBTAA 1986” refers to a description in relation to the expenditure payment fringe benefit, which can originate in certain situation if an employer makes any kind of reimbursement for that expenditure incurred by an employee. On the other hand, the fringe benefit for expenses occurs when an employee pays to the third parties due to satisfaction from expenditure occurred by an employee. In any of the above mentioned cases, the expense can be outgoings of business or private outgoings or the combination of these two cases. The expense fringe benefit chargeable value basically represents those value, which is repaid by an employer. In addition to this, in house expenditure payment fringe benefit generally occurs when that expenditure is attained by an employee after reimbursement from an employer. 1. The parking of car is done inside the area of one kilometer where commercial parking facilities is available and also charge fees for parking the car for the whole day. Under the “division 4 of the FTBAA 1986” explains about the debt waiver and loan fringe benefit. The fringe benefit for loan occurs when an employer gives loan to an employee and thereby charges lower interest rate amount over the FBT year. It can be mentioned from the case study that low interest rate is the amount that is lower than statutory interest rate (Shiftan, Albert and Keinan 2012). The present study reflects on the description of Jasmine as an employee of the Rapid Heat Pvt Ltd selling electric heaters. Being a part of employment, Jasmine needed to travel more owing to the purpose of work. In such circumstances, rapid gave Jasmine with a car for the purpose of work. Jasmine was also allowed to use this car mainly for the private purpose. In this condition, “section 7 FTBAA 1986” can be applied generally for Rapid Heat as an employer gave this car to Jasmine for personal use and also for job purpose during the employment course. The judgment done by “Lunney v FCT (1958)” highlights that the car that is used by Jasmine for private purpose indicates the fringe benefit. However, the Rapid Heat Pvt Ltd would have the liability for fringe benefit tax in order to give car to Jasmine (Marr, Huang and Friedman 2013). The later segment of the case study highlights that Jasmine had used the car for travelling 10,000 kilometer and this created expenditure for around $550 on small repairs, which is repaid by Rapid Heat. It has been observed that the employer had repaid Jasmine with the total amount of the repair expenditure, which was incurred for this small repair. Under the “division 5 of the FBTAA 1986”, the fringe benefit of expenditure payment had arose for the Rapid Heat Pvt Ltd in such condition (Ahmad, Etp and Bujan 2013). The main reason behind this is that an employer Rapid Heat has disbursed an employee with expense repayment that Jasmine obtained for small car repairs. Thus, the value of fringe benefit of such expenditure for Rapid Heat signifies the value that can be repaid to Jasmine. The events that took place later reflects that Jasmine had not used a car during her interstate, parked her car at airport and parking of car at workstation for objective of planned repair (Van Ommeren and Wentink 2012). Even though a car was given by Rapid Heat to Jasmine with respect to employment but parking of car was not inside one kilometer. The present study describes that Jasmine has been given loan of about $500,000 by the Rapid Heat Pvt Ltd at the yearly interest rate of around 4.25%. However, in these circumstances fringe benefit for loan occurred for the Rapid Heat Pvt Ltd as the loan has been given with respect of employment. 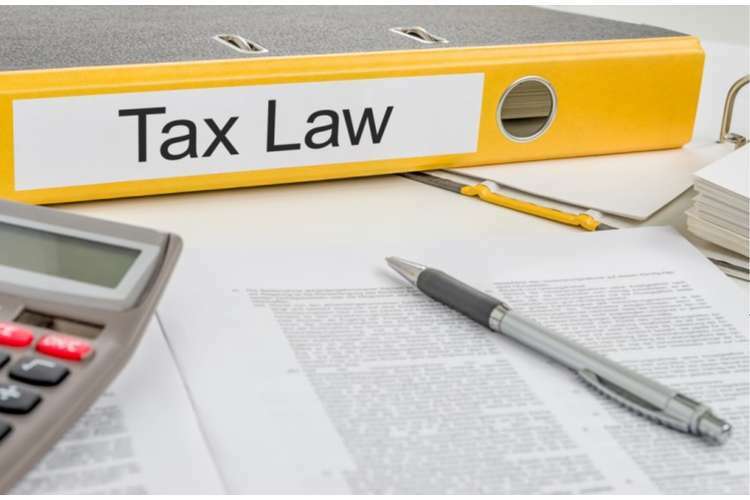 Under the “section 8-1 of the ITAA 1997”, a taxpayer is allowed to claim for allowable deductions specially under common provision when expenditure has incurred to gain taxable income. Likewise, if Jasmine has used the total amount of around $50,000 for buying shares herself despite providing loan to her husband without any interest in hypothetical condition, then Jasmine can be permitted to claim allowable deductions for interest on the loan amount. Thus, Jasmine has lent the total loan amount to her husband based on interest. Hence, no deductions can be allowed under the common provision of “ section 8-1 ITAA 1997”. 1. Ahmad, R., Etp, Y. and Bujan, S., 2013. Relationship between Types of Benefit (leave, loan and retirement plan) and Employees’ Retention. International Journal of Education Research, 1(8). 2. Barry, J.M. and Caron, P.L., 2015. Tax regulation, transportation innovation, and the sharing economy. U. Chi. L. Rev. Dialogue, 82, p.69. 3. Becker, J., Reimer, E. and Rust, A., 2015. Klaus Vogel on Double Taxation Conventions. Kluwer Law International. 4. Ceriani, L., Fiorio, C.V. and Gigliarano, C., 2013. The importance of choosing the data set for tax-benefit analysis (No. EM5/13). EUROMOD Working Paper. 5. Dai, M., Liu, H., Yang, C. and Zhong, Y., 2015. Optimal tax timing with asymmetric long-term/short-term capital gains tax. The Review of Financial Studies, 28(9), pp.2687-2721. 6. Lang, M., Pistone, P., Schuch, J. and Staringer, C. eds., 2018. Introduction to European tax law on direct taxation. Linde Verlag GmbH. 7. Marr, C., Huang, C.C. and Friedman, J., 2013. Tax expenditure reform: an essential ingredient of needed deficit reduction. Center on Budget and Policy Priorities. 8. Scott, R.A., Currie, G.V. and Tivendale, K.J., 2012. Company cars and fringe benefit tax: understanding the impacts on strategic transport targets. 9. Shiftan, Y., Albert, G. and Keinan, T., 2012. The impact of company-car taxation policy on travel behavior. Transport Policy, 19(1), pp.139-146. 10. Toder, E., Baneman, D. and Center, U.B.T.P., 2012. Distributional effects of individual income tax expenditures: an update. Urban-Brookings Tax Policy Center, Washington, DC. 11. Van Ommeren, J. and Wentink, D., 2012. The (hidden) cost of employer parking policies. International Economic System Review, 53(3), pp.965-978. 12. Yagan, D., 2015. Capital tax reform and the real economy: The effects of the 2003 dividend tax cut. American Economic Review, 105(12), pp.3531-63.